In 2013, it began with 40 students chosen from among 75 applicants. The program was a response from one of the country’s most respected academic institutions to the rapidly expanding field of analytics. 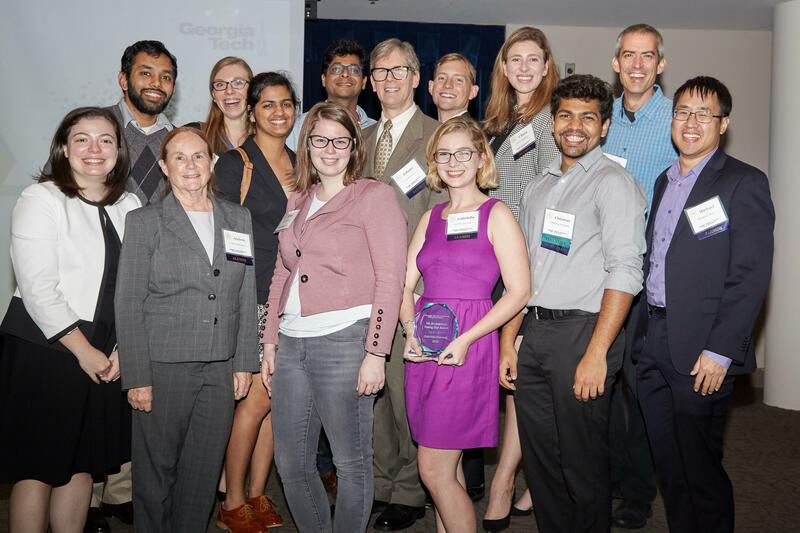 Today, with 85 students on-campus and more than 1,000 online learners, Georgia Tech celebrates the fifth year of its growing Master of Science in Analytics (MSA) program. The impact this program has had for companies and industries has been felt throughout the U.S. and beyond. In November, MSA alumni, professors, current students, and staff, along with business leaders and other supporters, gathered at The Carter Center in Atlanta to celebrate the fifth anniversary of the MSA program and the great accomplishments of its graduates. The interdisciplinary program began as one of just a few in the country, leveraging Georgia Tech’s strengths in statistics, operations research, computing, and business, by combining the world-class expertise of the Scheller College of Business, the College of Computing, and the College of Engineering. Joel Sokol, professor in the H. Milton Stewart School of Industrial and Systems Engineering (ISyE) and director of the MSA program, said the interdisciplinary aspect is what sets it apart and makes its students poised for success. Students have the opportunity to choose from more than 70 electives, in which they learn directly from top international authorities on business intelligence, developers of cutting-edge analytics techniques in statistics and operations research, and world leaders in big data and high-performance computing. Students use advanced resources across campus, including Georgia Tech’s state-of-the-art high-performance computing infrastructure for massive-scale data analytics, and work in cross-disciplinary teams to solve real analytics problems for a range of companies and organizations. This adds up to a unique ability to generate deeper insights into analytics problems. Not only does the program showcase a wide variety of learning opportunities, the students themselves come from diverse backgrounds, Sokol said. Gabriella Runnels received her MSA from Georgia Tech in 2017 and now works as a data scientist for Opex Analytics. In her role she works directly with clients to apply machine learning to solve their business problems. She said her experience in the Georgia Tech MSA program was invaluable. As the manager of marketing analytics at Inspire Brands, Spencer Collins oversees a team that is responsible for the marketing analytics for Arby’s. As a graduate of the MSA program, Collins believes he was well prepared for his role. The statistics for graduates are impressive — 97 percent of those who earn their MSA receive job offers within three months of graduation — with an average annual salary of $100,000 a year. Greg Esper is the vice chair of clinical affairs for the Department of Neurology at Emory University School of Medicine. In his role, he oversees Emory’s analytics group. As a member of the MSA Advisory Board, Esper gets to see firsthand the students the program produces. Job placement for graduates is an important component of the MSA program, and its staff has built relationships with more than 200 companies to aid in the employment process. Other growth has included the creation of the online program, which is expected to have 2,000 students enrolled — representing nearly every U.S. state and more than 100 countries — in January 2019. A combination MSA and MBA option is the newest addition, with nine current students. When Sokol considers the growth of the program, he thinks of his students — and he can’t wait to see the difference they make in the world. 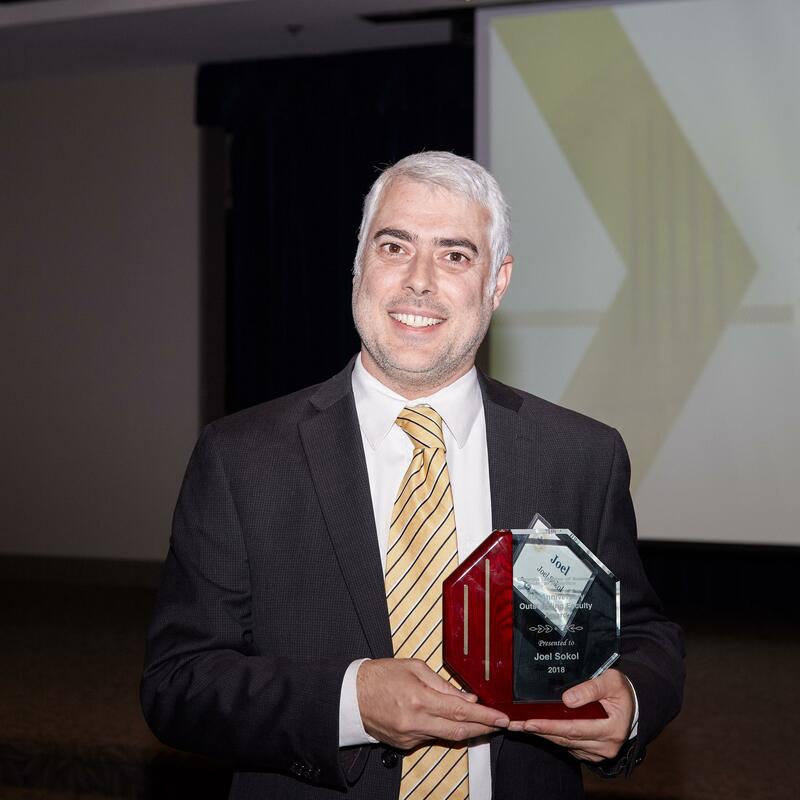 Professor Joel Sokol, who also directs the Master of Science in Analytics program, received the Outstanding MSA Faculty Award, which was voted on by MSA alumni.